The Nigerian Army’s free health mission in Anambra came to an abrupt end yesterday October 11, 2017, due to the allegations of monkeypox injections by the proscribed Indigenous People Of Biafra (IPOB).The allegation which started on social media spread to all the nooks and crannies of the state which resulted in parents taking their wards from school. The allegation which started on social media spread to all the nooks and crannies of the state, resulting in parents taking their wards from school. Despite the unfortunate turn of events yesterday, there are few lessons for the South East Governors outlined below. One, the South East Governors and the Anambra Governor, in particular, have lost touch with the people they claim to govern. In a sane society, the government is expected to be in charge of every occurrence in its domain and relate to the people from time to time. 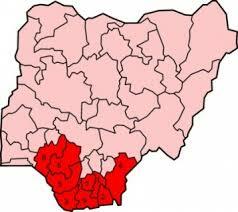 But, the incident yesterday, which is not the first, shows the South East Governors have failed in that aspect. This unfortunate event was a replica of the total shutdown of the South East on May 30, 2017, when IPOB announced a sit-at-home. Despite the influence they claim to have, they failed to stop the sit-at-home order. The import of this is that the South East states at the moment have slipped away from the hand of the Governors, which the necessary security agencies must take note of. The rate at which parents withdrew their children from the schools yesterday shows the residents of the region respect the IPOB more than the Governor, despite the message from the Governor denouncing the rumour. Another lesson for the South East Governors is that the level of education in the region is assuming a downward trend as its happening in other regions of the country and, it was evident in yesterday’s occurrence. In a society with educated individuals, the monkeypox rumour by IPOB as such virus cannot be injected in humans. But the illiteracy level of people in that environment coupled with the poor influence of the Governors made the rumour to thrive. Yesterday’s incidence is a wake-up call to the South East Governors in general and Anambra in particular as the IPOB is still campaigning against voting in the upcoming Anambra elections which should not be taken with a pinch of salt. If IPOB can shut down the South East, cause upheavals through the monkeypox rumour, then they can do more damage to Anambra elections. The South East Governors need to act fast before it’s too late. I was not thinking of Ipob when I went for my children yesterday.d thought on my head was ,the army that was pointing a gun at me a few weeks ago is now giving us injections?it can’t be anything good.